The address says it all, this is your dream island home. A rarely available waterfront residence located in highly desirable Grand Mariner on Longboat Key. 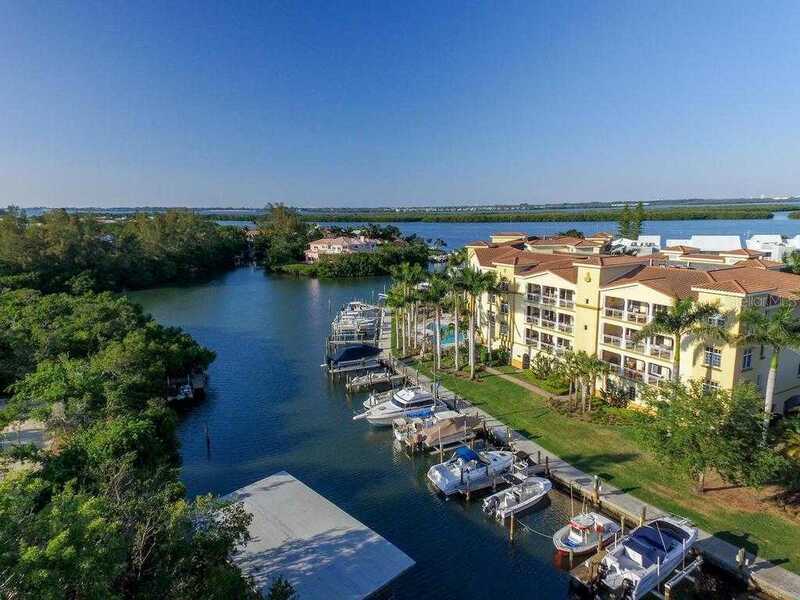 Boasting incredible views of the bay, this condo also comes with its own deeded dock complete with electricity, water and a 26,000-pound boat lift right on the property. No more having to fight traffic to use your boat, simply walk out your front door and have direct access to Sarasota Bay and only minutes to the Gulf of Mexico. The residence itself is quite extraordinary with almost 3,300 square feet including an open floor plan, large gourmet kitchen, private elevator, stylish master suite with his and her closets, sinks and water closets, 2 private en-suite guest rooms, 3 balconies, a summer kitchen overlooking the bay and a private 2 car garage. It also features luxury touches throughout like marble flooring, stone counters, stainless and gas appliances, crown molding, enchanting lighting and hurricane rated windows and doors. When you 8217;re not boating, you can enjoy the incredible amenities Grand Mariner has to offer including a large heated pool and spa, community fire pit, fabulous clubhouse with full kitchen, fitness center and rec room, private beach access on the Gulf of Mexico, and amazing service and security. This condominium is so exclusive it is home to only 14 residences and with its location right in between Anna Maria Island and Lido Key, you will have your choice of restaurants, shops and entertainment to choose from. Please, send me more information on this property: MLS# A4400262 – $1,599,000 – 595 Dream Island Rd #36b, Longboat Key, FL 34228. I would like to schedule a showing appointment for this property: MLS# A4400262 – $1,599,000 – 595 Dream Island Rd #36b, Longboat Key, FL 34228.